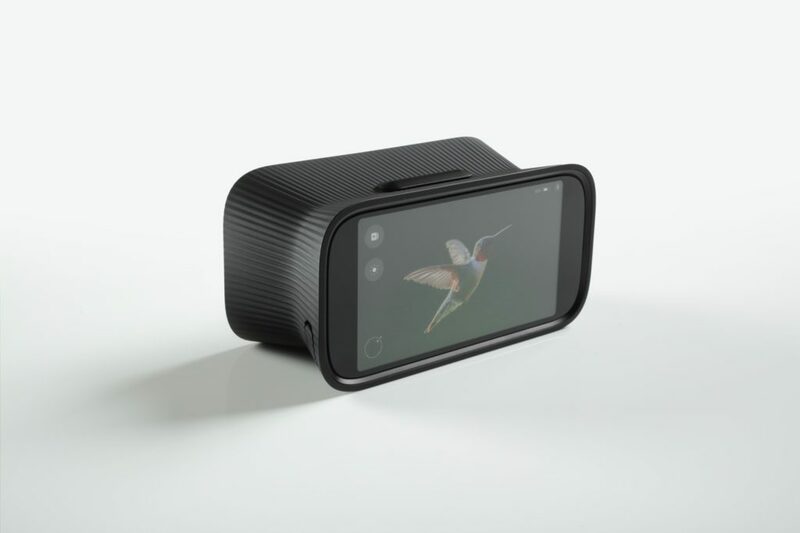 Home This Company Has Reinvented The Smartphone Camera, Early Investors Could Make A Fortune. This Company Has Reinvented The Smartphone Camera, Early Investors Could Make A Fortune. I am going to introduce you to a microcap stock whose technologies could transform an entire $75+ billion-dollar industry and lead to the creation of entirely new sectors. A stock whose market capitalization is still under $100 million. This company has attracted a world class management team which includes the former Chief Technologist of NASA. We are looking at a ground floor opportunity with blue sky potential, entering Chapter 2 in its evolution. We could be looking at a new standard of artificial intelligence excellence for image stabilization and image capture when photographing in extreme lighting conditions as well as breakthroughs in lens designs for smartphone camera’s, binoculars, telescopes etc. This company has the ability to impact a myriad of other industries as well including automotive, medical imaging security/surveillance and many others. The Company just announced its remarkable cutting-edge artificial intelligence networks (‘AI’) for photography. 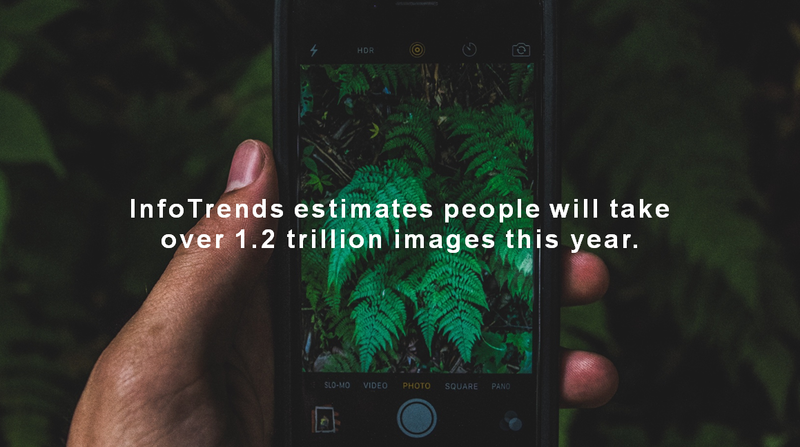 The Company developed and continues to refine cutting-edge artificial intelligence networks (‘AI’) for photography. 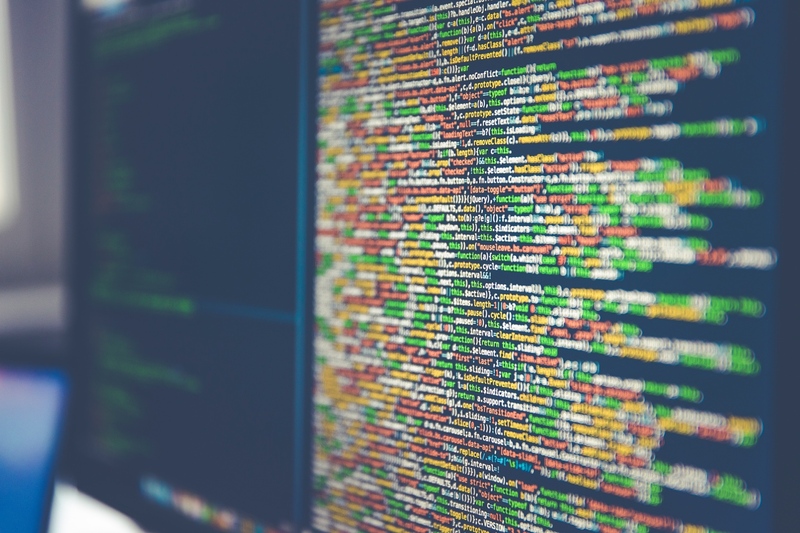 Their engineered AI drastically reduces image noise and motion blur common in poor lighting imaging environments by leveraging deep convolutional neural networks. In addition to enhancing image quality, this technology could be used to improve long-range image stabilization and image capture in extreme lighting conditions. This revolutionary technology could have significant commercial applications in a number of industry verticals, and could incorporate into their own advanced lens offerings. 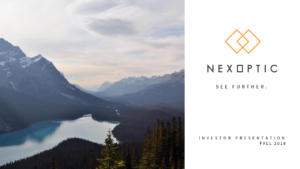 NexOptic is a publicly traded company developing a suite of optical technologies, allowing for larger apertures, that enable high resolution systems, at greater distances, in a very compact space as well as highly sophisticated artificial intelligence technologies. At the heart of this Company’s lens technologies is their patented and patent pending BladeOptics™ systems, which in some instances, contain flat surfaces with square apertures – a revolutionary upgrade over today’s conventional curved, round lens systems – a basic premise has not changed much in over 300 years! The potential applications available to BladeOptics™ is vast – telescopes, cameras, mobile devices, automobile imagery sensing and security to name a few. 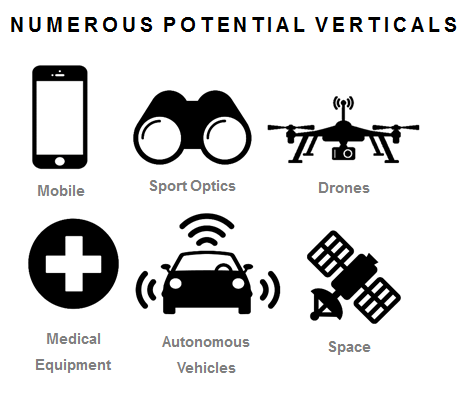 And NexOptic’s revolutionary AI technologies could also be adapted to all of these industries. By creating a lens system that reduces the depth (relative to aperture size) currently required in many traditional curved lens stacks, an entire new set of possibilities emerges in the world of imaging. Put simply, NexOptic in addition to its advanced artificial intelligence engineering has also upended the world of physics and discovered how to compress traditional curved lens stacks required for optics. They have changed the game and are on their way toward producing their first commercially available products. 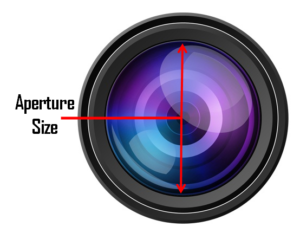 Blade Optics™ allows for larger apertures and longer focal lengths in imaging devices such as smartphone cameras, enabling us to see further with much greater resolution. This year, the Company has completed testing of its first smartphone lens stack and the results are spectacular. The patent pending lens is engineered for the rapidly growing smartphone camera market to deliver enhanced performance in low light environments, and substantial improvements in long-range imaging. 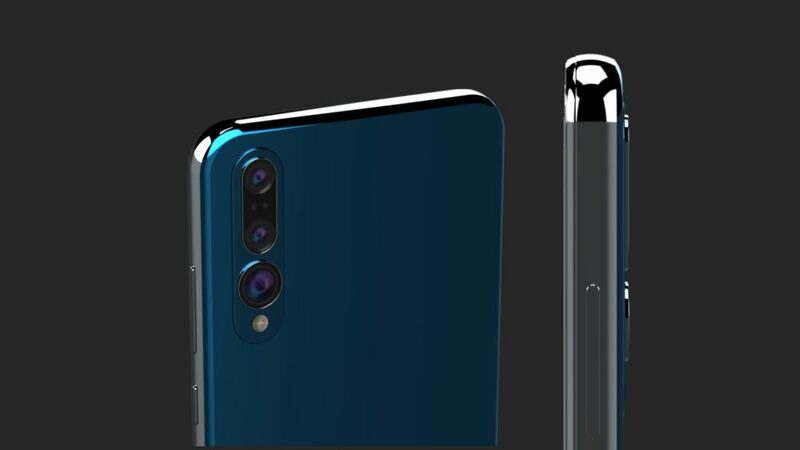 Just another smartphone camera? Not quite. Angular resolution is the ability of any image-forming device such as a camera to distinguish small details of an object, thereby making it a major determinant of image resolution. NexOptic’s tests on the smartphone lens stack determined that their angular resolution is 35% greater than a “comparative lens”. According to IDC (International Data Corporation) in the second quarter of 2018 alone smartphone vendors shipped a total of 342 Million units. This is why mobile phone makers such as Apple and Google are racing to produce smartphones capable of capturing high quality long-range images. NexOptic’s technology has just upended the race and has the potential to disrupt the entire mobile phone market. An aperture gathers light (information), which is processed into an image. The problem with the curved lenses used today is that if you want to clearly see an image of an object from great distance, you need larger apertures, and larger housing units – resulting in bulky, impractical devices. You’ve seen professional photographers carrying these around. They require larger aperture systems to capture professional grade images. Until earlier this year, this has been the status quo – better pictures requiring larger devices. NexOptic, using their patented and patent pending BladeOptics™ technology, is looking to shake things up by introducing a new and better way to capture (as well as process) images. Pictures speak louder than words, so let’s have a glimpse of what NexOptic has already remarkably achieved. To test its concepts, the Company first engaged Ruda Cardinal Inc., an internationally recognized optics industry leader that has designed lens systems for NASA, Microsoft and others, to help refine, test and construct their lens stack for their first “proof of concept” prototype for imaging – the telescope. 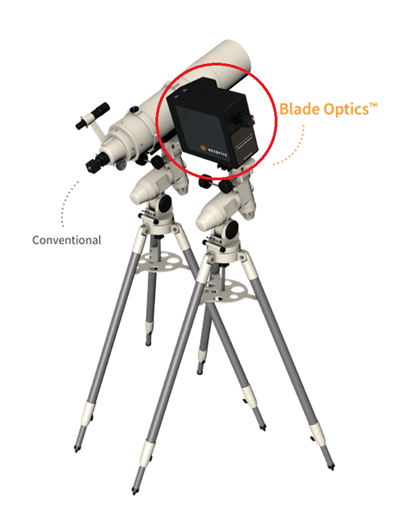 A telescope that could be anywhere from approximately 17 – 40-inches long (depending on quality and price point) is only about 5 inches deep with Blade Optics™. 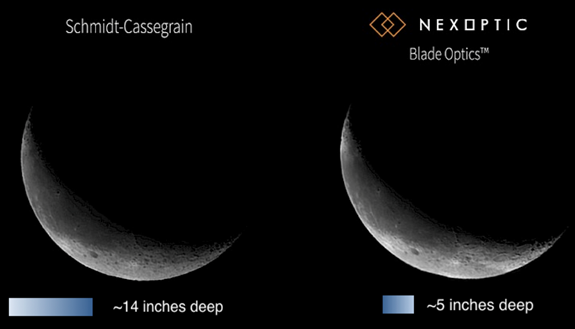 Using identical image processing techniques, NexOptic successfully compared the image quality from their 5 “ aperture telescope to a leading 5” aperture Schmidt Cassegrain telescope. The image results are near indistinguishable. How is this amazing result made possible? The magic of BladeOptics™ lies in its ability to scale from small devices, such as smartphone cameras, all the way up to large telescopes. This is made possible not by expensive material, but by geometry – the physics – built into the system. Because NexOptic lenses have larger apertures, gathering more light than conventional systems, image quality can be impressive even in low light conditions. This has been a limiting factor in many imaging systems, including today’s cameras and smartphones. 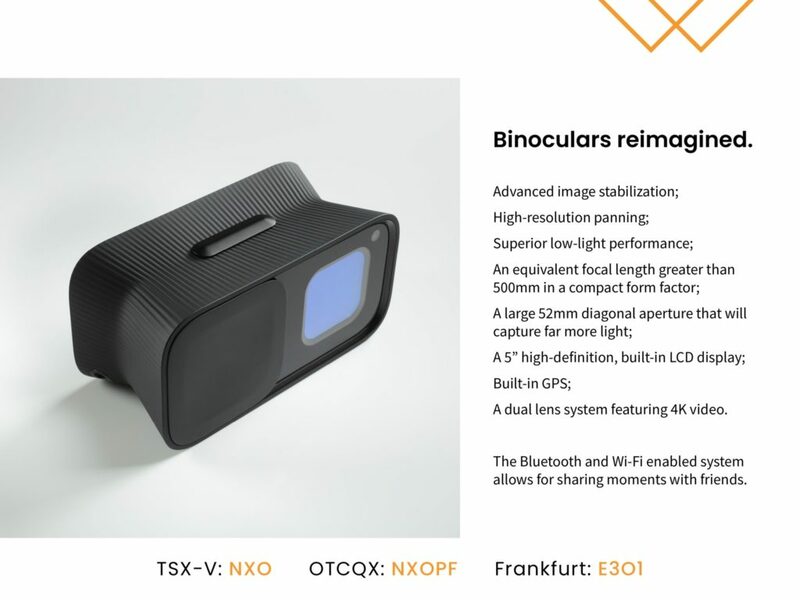 In September 2018, NexOptic presented the world premiere of its renderings plus advanced specifications of its first consumer product, with product architecture design contributions by Gadi Amit’s NewDealDesign – NexOptic is also binoculars reimagined. Think of the possibilities this device offers – the ability to capture ultra high resolution pictures, on the fly, at ultra long distances, even in low light. Imagine being able to switch from 2.5x to 10x zoom instantly, to capture a fleeting moment of wildlife in the distance, a majestic bird flying by, or while skiing, surfing, fishing or hiking. Have nosebleed seats at a concert or sporting event? This device will enable you to capture incredible quality images from those distances, just like the professionals do but without the bulky equipment. 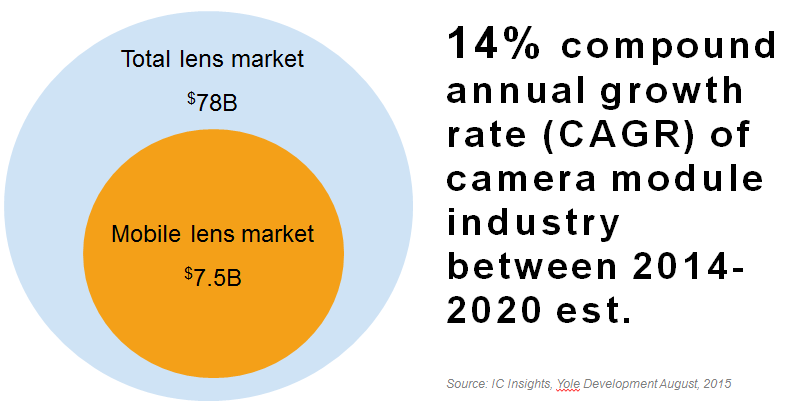 NexOptic believes this segment has tremendous growth potential given the increased demand for connected devices and numerous applications for long-range imaging. 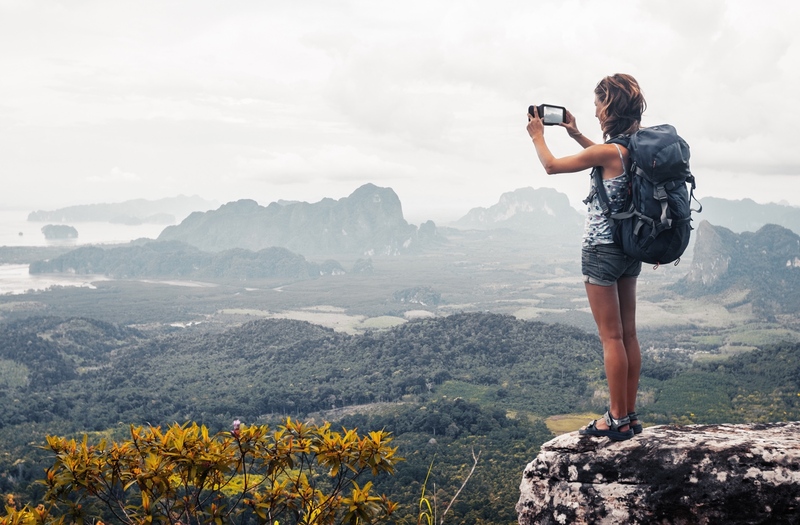 Their goal is to equip modern outdoor enthusiasts with an innovative product that transforms the way they see, learn, and connect with the world. And NexOptic plans to introduce its first commercial product in 2019. Have you heard of FitBit? While FitBit and their wearable devices have become an internationally recognized brand, many have not heard of the man who is behind the design of the company’s iconic products. We’re referring to Gadi Amit. Named a “Master of Design” by Fast Company, he has led his team to more than 100 design awards. Gadi Amit’s firm NewDealDesign agreed to take on a new client – one which is aiming to transform and disrupt industries worth over $75 billion. Gadi’s firm, NewDealDesign, has designed successful products for the biggest names in the industry – Dell, Google and Comcast are just a few household names that have relied on Gadi Amit and NewDealDesign. Considered to be a visionary, Gadi is highly selective of the client’s he works with. He knows how to spot massive potential in a product and his track record speaks for itself. Inspired by NexOptic’s radical lens designs, NewDealDesign is helping NexOptic reimagine binoculars as we know them. Gadi Amit’s NewDealDesign, designers of FitBit’s wearable devices, and NexOptic are working together on a changing the way we take pictures and view our world.